The forms on this page are to be used if you personally, or a department at SU, needs to be reimbursed for expenses. These expenses should be related to an activity or event being funded in whole or in part by the GSO. You should have already completed an Expense Pre-Approval Form; if you haven’t, speak to the GSO Comptroller immediately. Students are encouraged to set up direct deposit of reimbursements in Myslice. If you have access to the Employee Services section, go to the View/Update My Direct Deposit link under the HR/Payroll heading. If not, go to the Student Services section, under the Finances heading, and use the View Student Account link. Use the Please click here to enter link. Then click the View Direct Deposit link. 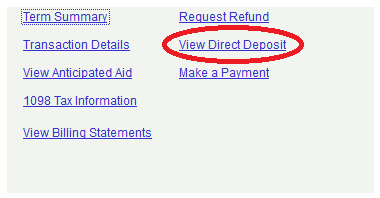 Once on the Direct Deposit page, add a bank account to the Non-Payroll Direct Deposit Information section. Please note that if you already have Payroll Direct Deposit set up, that information does not automatically transfer over. To add an account, click the Add Account button. On the following page, enter your banking information and click save. The account will be verified by the university. All future payments will be sent to this bank account automatically. Gather together all your original receipts. Any receipts which are not already on 8.5×11 sheets of paper should be taped to sheets of paper before submission. This ensures they will not slip out and get lost. Multiple receipts per sheet is fine, please only attach receipts to one side of a page. Once you have your documentation together, follow these steps. Fill out and submit the Request for Payment form below. Fill out and print the Employee Expense Reimbursement Request form. In the “Business Purpose of Reimbursement” block, you only need to fill in multiple lines if the reasons for the purchases were different. Otherwise, just use one line. All white boxes are required. A supervisor does need to sign the form. Advisors, department chairs, or department secretaries can sign as your supervisor. Finally, take your printed forms and original receipts, put them all in one envelope, and submit it to the GSO. The GSO mailbox is in 304 Lyman Hall (Graduate School), or you can drop it off at the office, 303 Lyman Hall. We will contact you if we have any questions. Expect to be reimbursed in 4-6 weeks. Please contact us if you have not been paid 6 weeks after submission. If you have any questions contact the GSO Comptroller.